I am always looking for new summer clothes. Despite living in Texas, where our summers tend to last 8 months out of the year, most of my clothing consists of fall clothing. I don't know how my closet ended up like this, but nevertheless, it has. 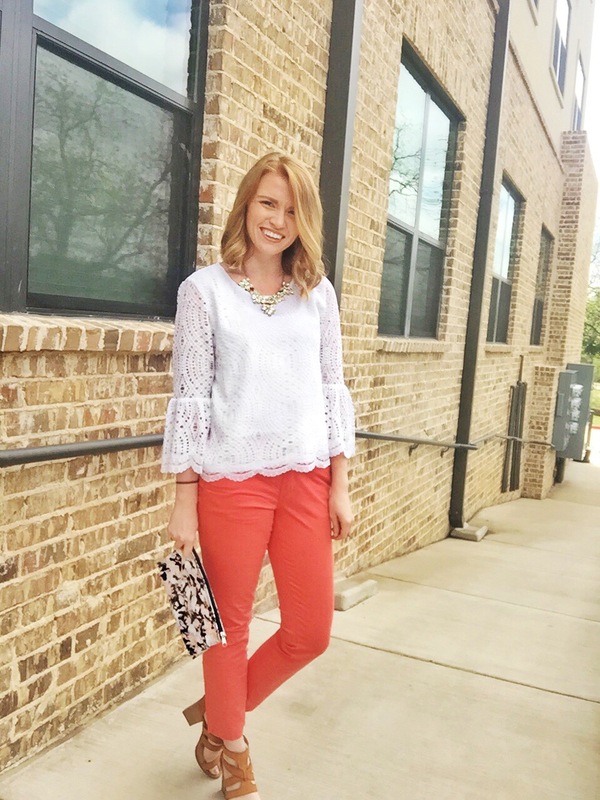 When Devlin reached out to share this adorable blouse on the blog, I jumped at the chance. With a new summer collection out (and this adorable makeup pouch as a free gift with purchase) in both Nordstrom and Dillard's, Devlin is creating stylish, summery, versatile pieces for you to fill your wardrobe with. 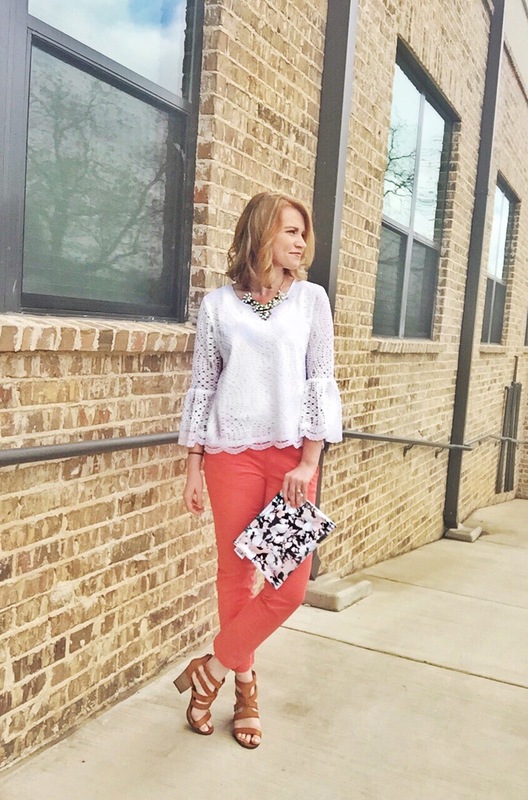 One of my favorite parts about this blouse in particular is that it is so versatile. It can be dressed up for work and with a quick change into shorts, you can be ready for an awesome summer night. The best part though: Devlin is an extremely affordable brand. Perfect for a college student or recent graduate. One thing to know about this particular top… It isn't lined in the back. I ended up adding a tank top to make it more work-appropriate. But the fabric itself is soft and breathable, everything you want for the summer. The Devlin brand is available at both Nordstrom and Dillards with the free cosmetics pouch shown above. I love the size of this pouch, and that it is lined on the outside to be water-resistant. This means it's perfect for a beach trip! Shop at Dillards between 4/11 and 4/25 or Nordstrom between 4/25 and 5/1 to receive your free pouch! *This post is brought to you by Devlin and Her Campus Media.